I could imagine Barangay Tulareken in Roxas, Palawan, as mostly pristine in the early 70’s or even in the early 80’s. The ocean near the village had been a Garden of Eden and a fantastic dive site to Manong Hapon. Manong Hapon is a farmer-fisherman but he loves fishing more than farming. He assigns farming to his wife and children. Not that he dislikes farming but he talks about it his waning eyes glows. He loves to fill us of talks about the sea and his dives and of bringing home the desired catch for the day. Those he painstakingly selected from his underwater garden, for his family to feast on. He brags about it and goes out to prove it. He would ask us, his regular visitors, (already in the early 90’s) what we want to eat for dinner from his stocks of lobsters, jack fish, crabs, etc. As if he have them tied underwater. So he goes out to the ocean to get what we requested. Of course, it was lobster that everybody craves. And wallah, request granted! Lobster it is, jack fish, and other variety of fish but lacking in sizes. The astonishing thing is, he knows where to get. It keeps me wondering how he does it. Perhaps, he does have some livestock underwater. Maybe the lobsters were tied into a coral or caged. And he visits them regularly every afternoon and returns home before dusk. He is a diver. But we don’t eat lobster all the time. We understood that since Manong Hapon sells the lobster and he has a regular customer for that. So I think that he’s growing his stocks till it gets to the right size and sell it for a good price. The variety of small fish that we ate at his house was always coupled with stories of trawl fishing, dynamite and cyanide fishing and other sort of illegal methods. And he’s worried beyond the effects of illegal fishing methods to the sea. I think he was worried that he would be grabbed of his passion and, in effect, his life. That kept me wondering about other divers and their passion and other dive palawan sites. What will happen if these illegal fishing methods continue? Manong Hapon doesn’t have a sophisticated scuba dive gear. He only had a self-made dive goggles. His are made of wood and pieces of shattered glass. His eyes are waning and the glasses were obviously not a prescription. I can’t wait to say this, no hi-tech gear just a bare passion to dive Palawan. I challenge you to dive Palawan in those recycled gears. The satisfaction he gets from his dives could be different from the other divers. I don’t scuba dive so I can’t speak for Manong Hapon’s passion and the moments he has while down there with the underwater creatures and the scenery. Our work in Tulareken was cut short as our office changed its focus to introduce development efforts more towards the upland farmers. The last time I saw Manong Hapon was in 2007 in Barangay Zabala, Tulareken’s new name. I can tell that he’s been drinking. I think he didn’t remember me at all anymore. But he still has that a warm smile he used to put on way back then. That time, he was so distracted as I noticed him arranging and negotiating for a drinking session with fellow residents together with some community visitors they have that day. Whatever happened to Manong Hapon’s dive site I have no idea. In year 2000, I joined an organization working on Fishery Resource Management Project along Puerto Bay and Honda Bay area. The project was able to facilitate restrictions on illegal fishing activities. One of which was the use of compressor for deep fishing that uses cyanide. Other municipalities have done the same, banning the use of compressor. I hope Manong Hapon would still be able to see the recovery of his dive site. 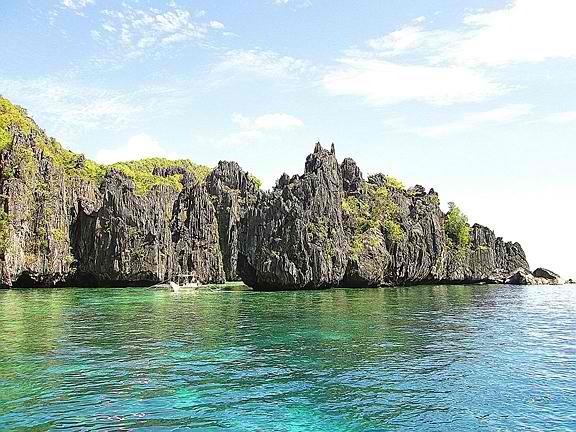 Dive Palawan and satisfy your passion for it. Whether just enjoying the underwater scenery and or expressing your passion in helping the recovery of Palawan’s many dive sites.